Designed to promote your promotion or event. Complete with eyelets for fixing. Banners are by far the best way to promote your business or special event. Printed onto a fire rated nylon re-enforced pvc, Elementary Signs banners can be used for all occasions. 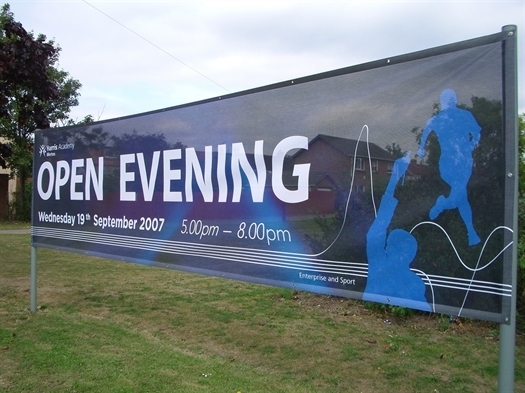 Supplied complete and ready to fit, these banner can be used for any advertising purpose. There are options for re-enforced hems, bungee straps to fix, pole sleeves, wind pockets, mesh banners or a panel where the text can be changed to re-use the banner at a later date.